This review has been printed in the January 2019 issue of Chess Life. A penultimate (and unedited) version of the review is reproduced here. Minor differences exist between this and the printed version. My thanks to the good folks at Chess Life for allowing me to do so. There are precious few pleasures left for the modern American air passenger. The lines are long. The seats are small. The snacks are very, very sad. One consolation, at least for this weary, wordy traveler, is the in-terminal magazine stand. With so many magazines in print, and with limits to what one can responsibly subscribe, it is a great consolation to be able to pick an interesting looking issue of something off the shelf and distract myself with it while airborne. I will admit that I picked up the October 2018 issue of Harpers because I mistook the cover author, Will Self, for NPR’s “enigmatologist” Will Shortz. Opening to the cover story, “The Printed Word in Peril: Reading, Writing, and the Tyranny of the Virtual,” I was quickly disabused of my misconception. Self’s concern is debatable but simple. The literary novel is, on his account, becoming a “conservatory form” like easel painting or symphonic music, with BDDM – bidirectional digital media, or the apps and screens that link our devices to the cloud – being chiefly responsible for its demise. There does seem to be something to this phenomenon. After all, who has the sitzlfleish to read Middlemarch when there is another game of Fortnite to play? Whatever one may think of Self’s points, it’s easy to see how they might be relevant for chess players and publishers. Chess streamers boast thousands of viewers on Twitch and YouTube. The publishing landscape is tilting towards digital media and products – just have a look at the latest catalogue from USCF Sales, where there are nearly as many pages devoted to software and videos as books! This month we are renaming this column from “Looks at Books” to “Books and Beyond.” Our focus will remain on printed chess literature, which remains the center of theoretical discussion and output, and which generally continues to grow in quality with innovative publishers and the aid of our silicon friends. We will also, from time to time, expand our focus a bit and investigate new digital products and programs. In this month’s column, we’ll look at two of the most interesting non-book releases in recent months: the granddaddy of all chess software, ChessBase, and Chessable, the new kid on the block. ChessBase is the leading chess software manufacturer in the world, and its market share among the chess elite reaches monopoly status. 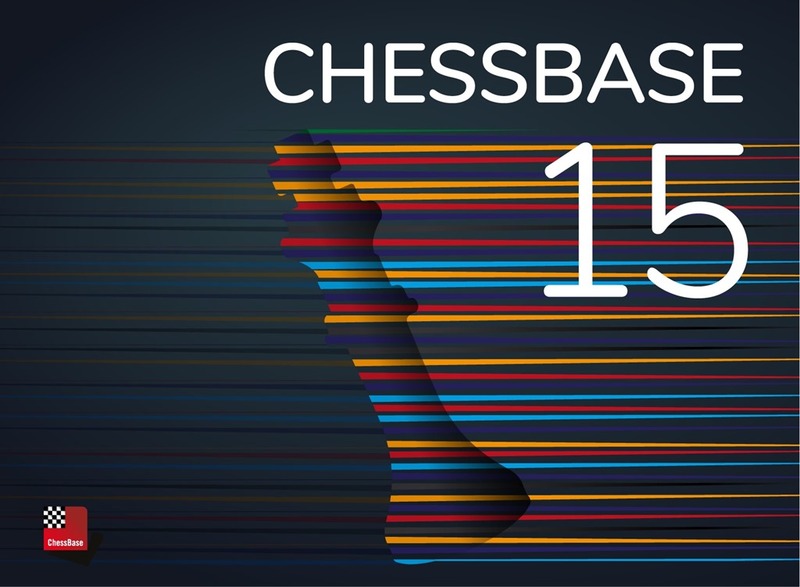 Almost every leading player uses its products, and none more so than its flagship program, the eponymous database manager ChessBase, newly released in its 15th edition. The core functions of ChessBase all revolve around data management. Users can collect, maintain, and search vast collections of games to study openings, middlegame structures, and typical endings with plug-in engines like Fritz, Komodo, or Stockfish. Many of these core functions have been fairly mature since, say, ChessBase 7. So why would anyone need a newer version? ChessBase had for some time answered this question with two words: the Cloud. 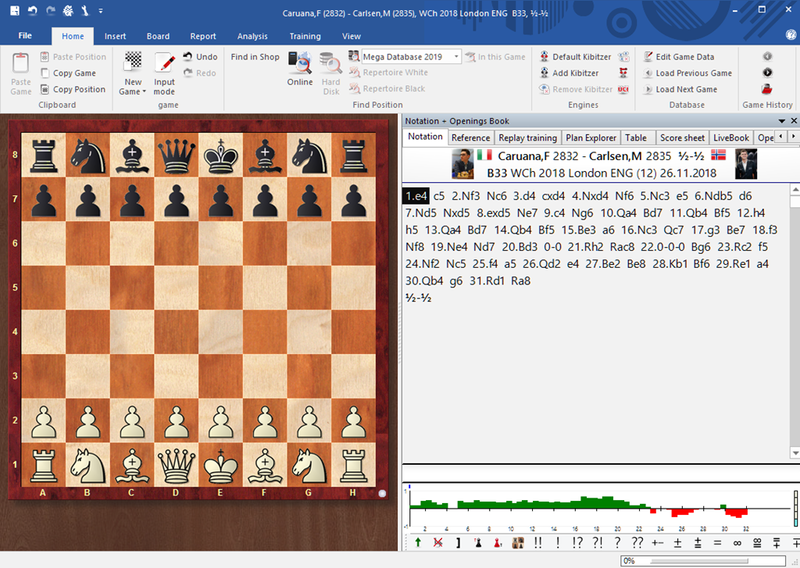 Beginning with ChessBase 11, users could access online game databases from within the GUI. In ChessBase 12 the ‘Let’s Check’ feature from Fritz 13 was ported over, remote access to engines via the ‘Engine Cloud’ was introduced, and new analysis and search functions appeared. With ChessBase 13 the ‘ChessBase Cloud’ was born, allowing users to store and share data on ChessBase’s servers, and taking initial steps towards integrating ChessBase web account features into the program. ChessBase’s authors returned their focus to in-program innovation with ChessBase 14. 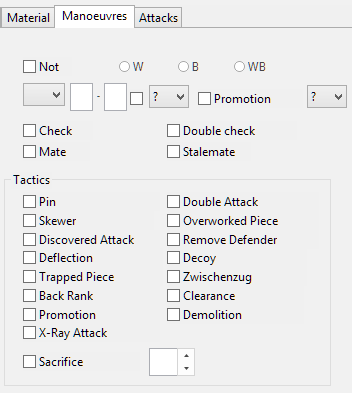 ‘Tactical analysis’ – automated engine analysis of specific games, previously available only in the Fritz interface – was introduced, as was assisted analysis, which provided tactical tips via the color-coding of possible moves. The way that games were saved changed, so that what was two functions – save and replace – became one unified process. ChessBase 15 continues in this vein, with an impressive list of new features and tweaks that refresh the venerable program. Among the most important of these is ‘replay training,’ revamping training features to make them more interactive. When the Training tab is activated, ChessBase keeps track of user accuracy in predicting moves, and an internal engine – a modified version of Ginkgo – assesses their relative strength. That same internal engine operates in “Instant Analysis,” a feature where games are very quickly analyzed upon loading, with each move’s evaluation appearing in a bar graph below the notation window. Search functions are also improved in ChessBase 15. There is a simplified, ‘one-line’ search for quick queries, and a number of new and upgraded search types are possible, including resulting endgame probabilities and plan explorers for specific positions. My favorite new feature, however, is introduction of a tactical search mask. Users can now search databases for specific tactical themes, ranging from double attacks to overworked pieces to back-rank weaknesses. The results are not perfect – every double attack is found through this search, even banal ones – but mining data for interesting tactics has never been easier. One of ChessBase’s strengths is its ability to continue to innovate so far into its lifespan. Some changes, like the move towards the Cloud, are fairly organic, arising from broader technological advances. Others appear to be direct responses to competitor’s products. The Deep Analysis feature introduced in ChessBase 12 and 13 is a take on Interactive Deep Analysis, or IDeA, in Convekta’s Aquarium program. The new training tab in ChessBase 15 has clear antecedents in openings trainers like Chess Position Trainer, ChessBase’s own Cloud Opening Trainer, and, most recently, Chessable. 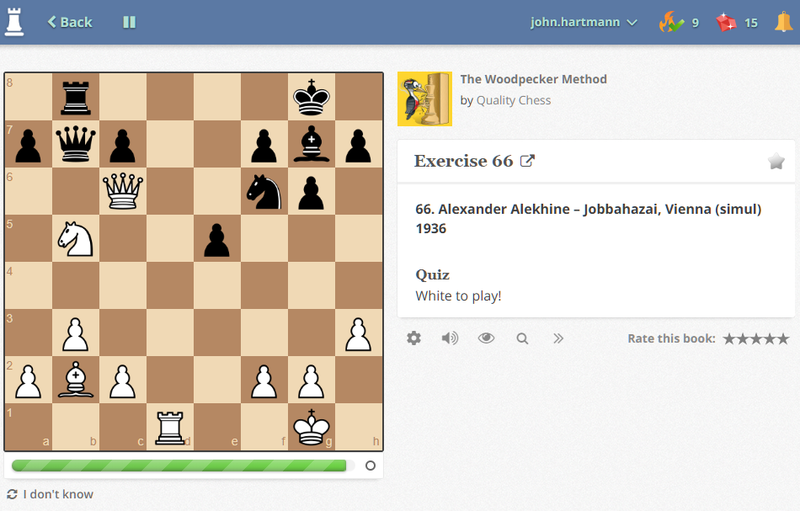 Chessable is a new website / “webservice” gaining quite a bit of mindshare with tech-savvy players. Part of this has to do with its association with IM John Bartholomew, one of chess’ leading streaming personalities, who also serves as Chessable’s Chief Communications Officer and co-founder. Bartholomew is a big draw in the streaming / e-sport landscape, and his involvement with the platform has undoubtedly aided in its rise to prominence. The real selling point for Chessable, however, comes in its claims about the scientific basis of its product. Chessable combines the concept of spaced repetition – the repeating of learned material across increasingly wide intervals of time – with gamification features to create an effective and ‘sticky’ form of chess learning. Instead of using low-tech flashcards, users train their knowledge of opening lines, tactics, and endgames on the website, receiving nudges and rewards for returning each day. The Chessable interface (“MoveTrainer”) is simple and attractive. From the main menu, users can choose to ‘review’ or ‘learn’ material in courses they own. ‘Learn’ takes users to the next new position in the course, where you can replay read-only lines or solve new problems. ‘Review’ runs uses through material they have already studied, using spaced repetition to emphasize moves and positions incorrectly solved. Chessable was originally designed as an openings trainer, and it’s easy to see how a spaced repetition model of learning might be attractive in that context. 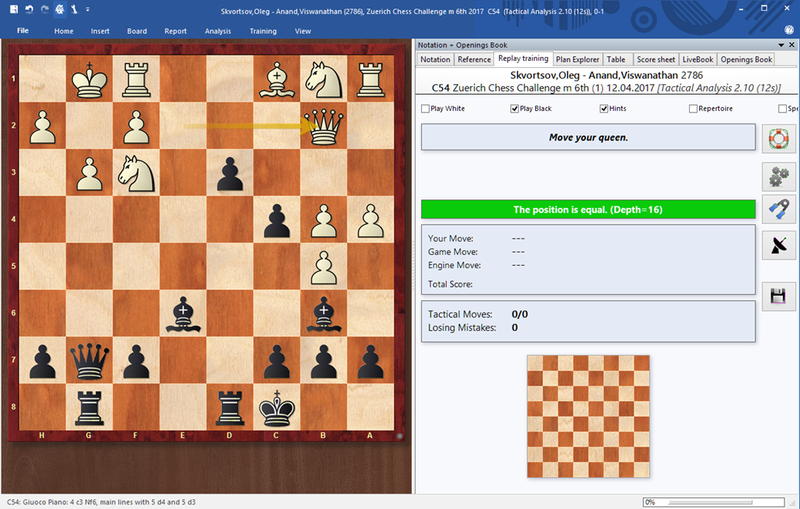 Users can study an opening variation through a Chessable-produced course, with both free and paid content available, and they can also create their own courses by manually inputting variations or uploading .pgn files. The platform also allows for the study of tactics and endgames, both of which also lend themselves to a spaced-repetition approach. Chessable is free to use, albeit with two important caveats. Some features of the MoveTrainer interface are only available for paid or Pro users. Among these features are the auto-tagging of moves or positions that you solve incorrectly, allowing for the study of “difficult moves,” access to advanced study and replay settings, and use of a full-depth opening explorer. Some courses, as mentioned above, are also paywalled. Which of these tools should you consider buying? For me, ChessBase is the rare product that lives up to its advertising. When Garry Kasparov says that ChessBase is the most important innovation in chess since the printing press, he is not exaggerating. If you are a real student of the game, and you are not using ChessBase, you are shortchanging yourself. The real question comes for those who are already using ChessBase. Is it worth upgrading to 15? For those using ChessBase 12, my sense was that updating to versions 13 or 14 was not entirely necessary unless specific features were of great personal value. The weight of the cumulative improvements in ChessBase 15 may alter this recommendation. The auto-analysis features in 14 and 15 are useful, the integration of Cloud and web features is ever-tightening, and search enhancements are truly impressive. 15 introduces a new, backward compatible database booster that speeds all manners of searches, and the tactical search is a show-stopper. ChessBase is a mature, best-of-class product, and I cannot imagine seriously studying chess without it. I have to admit my skepticism about Chessable when I first started using the site, and there are still some UI quirks that I could do without. As time passed, however, I began to see why its users are so rabidly attached to it. The gamification features help to inculcate a strong study habit in users, and while spaced repetition may not be the panacea that Chessable claims it to be, it is indisputably useful to review material in a structured way. Newcomers may want to try a free course – the ‘Short and Sweet: The London Opening’ and ‘Olympiad Tactics 2018’ titles come to mind – to see if the platform speaks to their needs. This entry was posted in buying guide, software and tagged Chessable, Chessbase, ChessBase 15 on January 2, 2019 by fullcityplus.